More information about 555 timers can be found here: ‘http://www.ti.com/lit/ds/symlink/ne555.pdf‘. 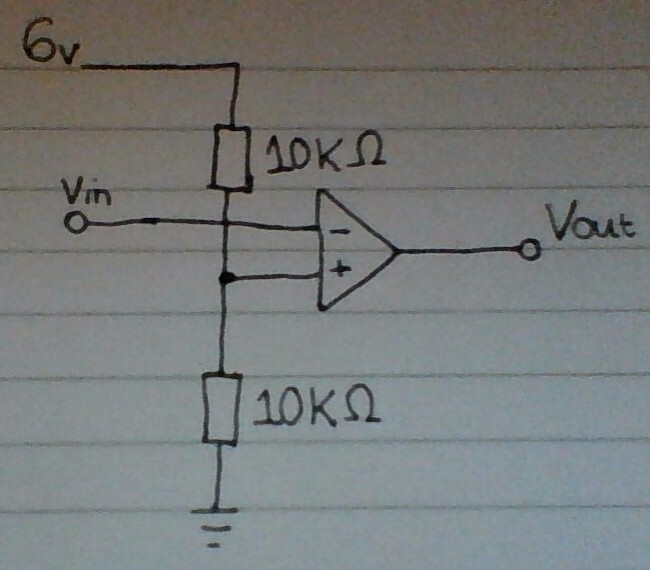 A comparator is one of the simplest op amp subsystems. It simply compares two voltages, and the output either goes high or low depending on which input is the higher voltage. 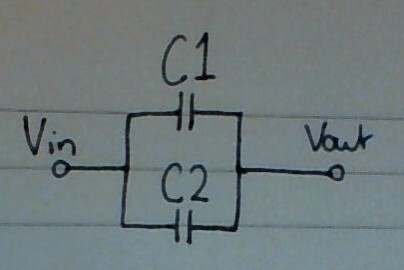 Using a potential divider calculation, the voltage at the non-inverting input can be calculated as 3v. 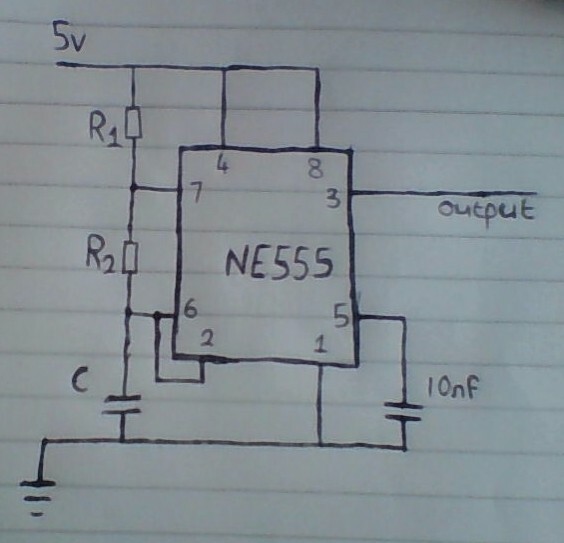 Because of this, when the voltage at Vin is above 3v, the output will be low. 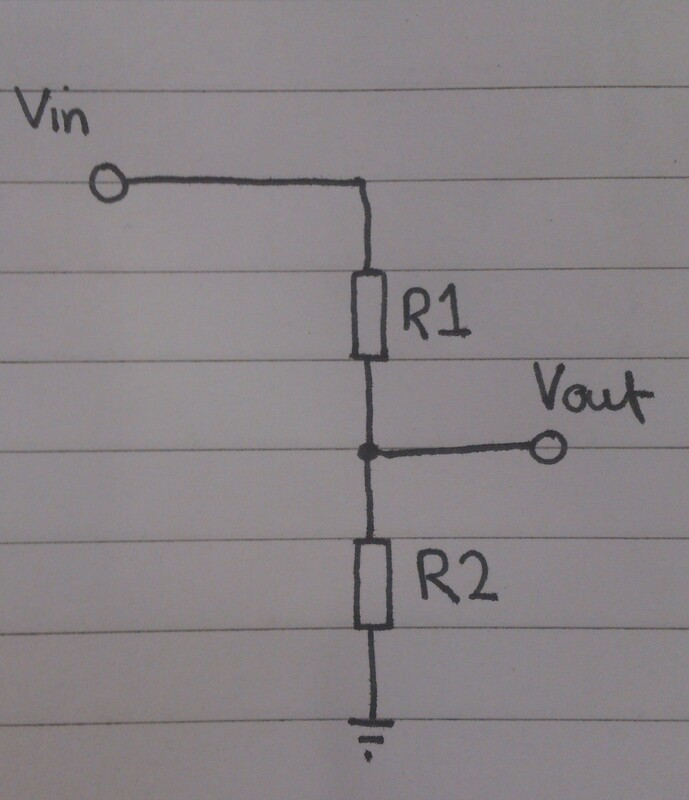 When the Voltage at Vin drops below 3v, the output will be high.